The benefits of laser therapy are relatively new in the medical industry. Despite this, customers are quick to adopt the technology as they see a marked improvement in their quality of life, most notably in the reduction of pain and swelling and the increase in mobility. 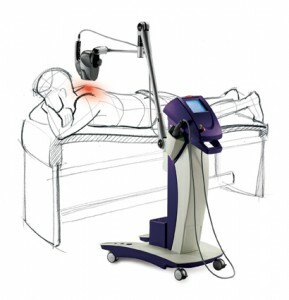 MLS Therapy technology is the most advanced laser therapy system on the market. The breakthrough of the multiwave system offeres greater benefit to the patient that any one wavelength alone. Benefits include intense anti-inflammatory and anti-edemic effects, and also strong analgesic effect.